MANOLI CANOLI is centrally located in the Mid-Atlantic and is able to serve customers in 6 states and the District of Columbia. Our 165,000 square foot facility is equipped with fully refrigerated loading docks to ensure that the cold chain is maintained from the moment we receive the product until the moment it is delivered to you. Our entire facility is equipped with the latest technology, including temperature/humidity controlled coolers regulated to the individual product needs. Our commitment to quality does not stop at our facility; we operate and maintain over 185 trucks, giving us an edge over our competitors. Our certified trained technicians service our fully refrigerated trucks on the premises and keep our fleet moving. MANOLI CANOLI operates with one of the highest on-time delivery rates in the industry – in spite of operating in one of the worst traffic pattern zones in the country. We take pride in the professionalism of our drivers. Our drivers care about our/their customers and strive to anticipate their every need. 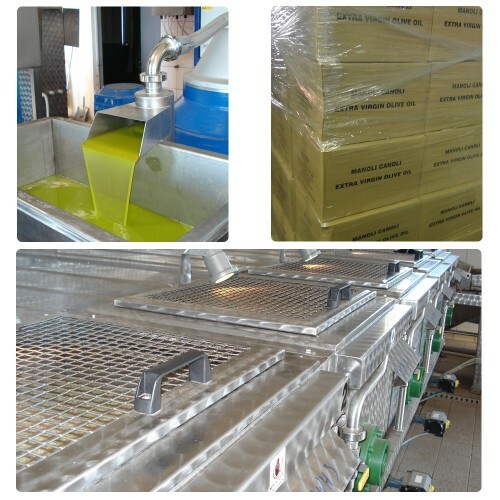 They inspect, they unload carefully and they deliver with pride MANOLI CANOLI Extra Virgin Olive Oil and Olives to your storage or pantry. We stand behind our products and seek to make sure you are thoroughly satisfied. At the end of the day, we understand the quality of the products we deliver is a direct reflection on you, our customer. We are committed to provide you with products that are exceptional in eye appeal, taste and texture; products you will be proud to serve to your customers. That is why we will continue to invest in our facilities, our vehicles, our people and our systems.